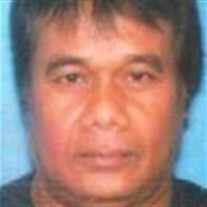 Kanep A. Elias, 56, of Miami passed away on Saturday, January 20, 2018. Services are pending with Brown-Winters Funeral Home and Cremation Service in Miami. The family of Kanep A Elias created this Life Tributes page to make it easy to share your memories.